Home > Features > Features > BMW 320d: PH Trade-Off! 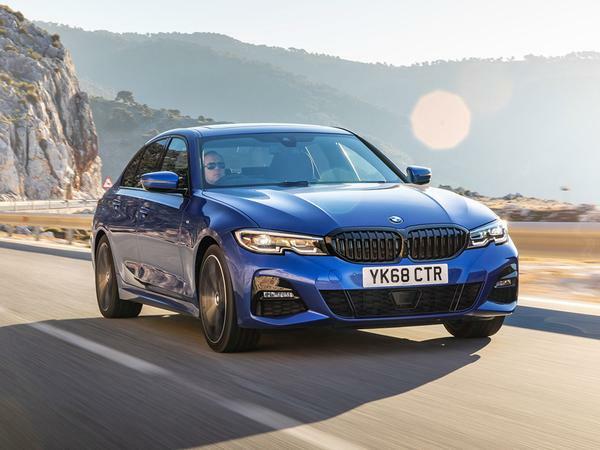 BMW's new diesel 3 Series offers the best of all worlds - but can Scrof do better for half the price? It's one of the most important new cars that will be released in 2019. It's also one of the least powerful we'll road test here on PistonHeads. The new BMW 320d is a car you'll either love - as a diesel saloon that's actually a good steer - or loathe - as, well, a diesel saloon. For all the bad press surrounding diesel - and the horizon full of variously-fuelled alternatives - an oil-burning four-door is still what some people need. Quite a lot of people, in fact, which is why the Mercedes C-Class regularly appears in top ten best-sellers lists - a position BMW is hoping to use the 3 Series to usurp. There's a good chance it will, if our initial contact is anything to go by. Not only does the 3 Series feel every bit the upmarket junior exec it needs to, but it's bloomin' brilliant to drive. "You can fling the nose at a corner and it'll follow with a wonderfully neutral balance," said Sam in his road test. "Push harder and there's a tiny hint of adjustability from the rear - the first signal of it, anyway." Even the price doesn't seem unreasonable. £36,510 for the M Sport model we tested slots it neatly between the cheaper Audi A4 and the pricier Mercedes C-Class - and as both are now older cars, the former ripe for a facelift and the latter fresh from one, that sounds about right. But as is the Trade-Off way, we think we can do better. Although, as that gives us just £18,205 to play with to find something used that can do everything a new 320d can, we may have bitten off more than we can chew. The most obvious solution, of course, is simply to pick an older 3 Series. And the advent of the new model means used values are taking something of a hammering. That's bad if you've just taken delivery of your brand-new 3, but good news for us, because it means this two-year-old 320d M Sport with 23,000 miles on the clock can be had for just £17,801. It's finished in Estoril Blue, gets the optional automatic gearbox (which, let's face it, you'll probably want in a 320d) and comes in at a handy £400 less than our budget. Tempting as it may be, though, we're not going to let that fly - partly because it's so blindingly obvious, but also because we think we can do better. Namely, this Jaguar XE 2.0d R Sport. Now, on the face of it, this is pretty similar to the 3 Series we've just shown you - even down to the fact it's a 2016 car with 23,000 miles on the clock. But the difference is this Jag is pretty well loaded-up with toys. You've got heated seats, a sliding panoramic roof, colour-coded leather and upgraded alloys. It looks the part in deep metallic blue, too, but the real reason we'd take it over the older 3 Series is its handling. It's no secret that the XE could never beat the old 3 Series as an all-rounder, but in dynamic terms it always edged it, making this a more exciting steer. 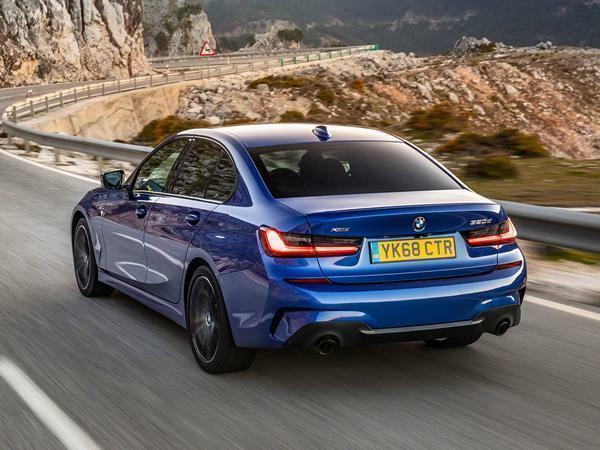 What's more, given that supple chassis, we'll wager this XE, even in R Sport trim, will ride a whole heap better than our brand-new 3 Series on passive dampers. Not a bad alternative, then. But why have chicken, when you can have steak? Especially when today's prime cut comes in the form of this Jaguar XF 3.0 Diesel S. Just look at it. From every angle, that's a deeply handsome car; one of Ian Callum's finest moments, we'd go so far as to say. 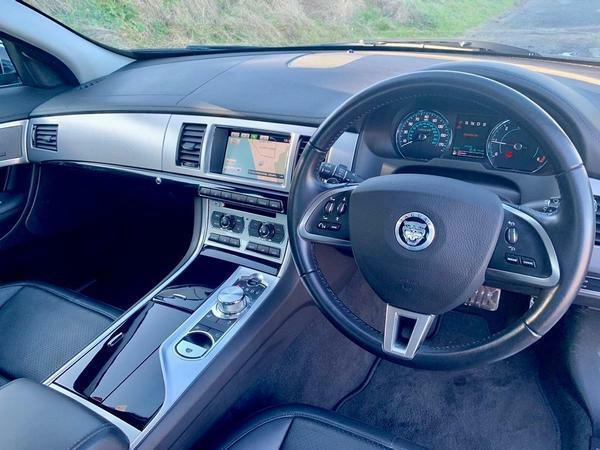 And in this specification, it's endowed with the perfect blend of aggression and elegance; in fact, this XF makes the new 3 Series look rather overblown. Inside, we'll grant you, it's neither as well-finished nor as modern. But there are some sweet highlights, like those motorised vents and rotary controller, or the unashamedly big slab of aluminium that sweeps across the low dash. And don't those seats look gloriously comfy, too? Of course, this particular XF gets the fine 3.0-litre diesel, all 275hp of it - enough to give it the edge on the new 3 Series in a straight line. And with six cylinders, it also gets a rather more satisfying engine note. There's a list of toys as long as your arm, too, including the upgraded Meridian sound system. But the biggest reason it's here is the way this generation of XF drives, with sublime weighting to the steering, and a deftness the like of which few saloons can match. In fact, we reckon it'll be every bit as involving, if not more so, as the newer, smaller car. It'll almost certainly ride better, too. And while the XF's fuel consumption is obviously miles off the pace thanks to its heft and extra power, its 44.8mpg combined figure suggests it won't ruin you any more than the depreciation on the newer car will. Talking of which, let's discuss price. 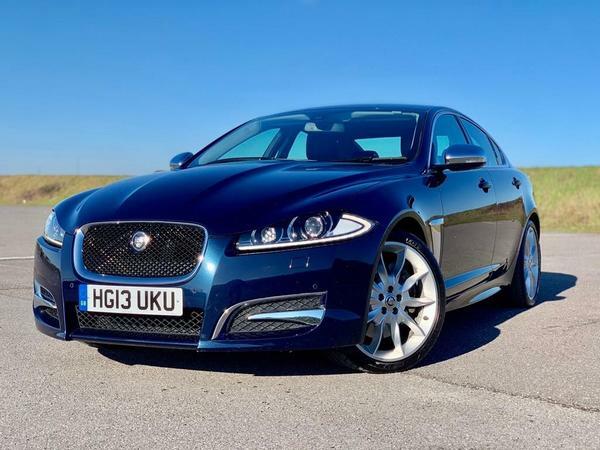 This example, with 19,000 miles on the clock and a full Jaguar history, will set you back just £16,990 - more than a grand below our budget, and almost £20,000 less than a brand-new 3 Series. More than enough change to stick in the bank in case of any big mechanical issues, and to pay for a very nice holiday besides. So what'll it be: a brand-spanking example of Munich's finest, or a lovely old Jag and a couple of weeks in Barbados? Hate to point it out, but no one will buy the new 320d with cold hard cash; PCP more likely. Therefore it will actually be hugely unlikely they have the readies to stump up for the Jag. 320D trade off? has PH morphed into WhatCar? 36k for a miserable diesel..... no thanks.